The following is a repost from here. As I talked about in last month's blog post, Self-Publishing vs. Traditional Publishing - 3 Major Differences, when you self publish editing your novel is all up to you. There isn't a publisher with a team of editors and cover designers. That's all on you, the author. You see the value of retweets - but how do you get them? Having a retweet group you participate in can easily get you thousands of additional views on each tweet you make. Here's how it works. Let's say I'm an author and I make a post to promote one of my books. The post looks like this. The following was originally posted here. Learning how to proofread is just as essential for writers as learning how to structure a story or write dialogue. I stumbled upon this blog post from 2013. Wonder if the author would make the same predictions today. Anyway, enjoy. Two decades is not a lot in the grand scheme of things, but owing to accelerating change we can expect to see the emergence of some fairly disruptive technological innovations in the coming years. 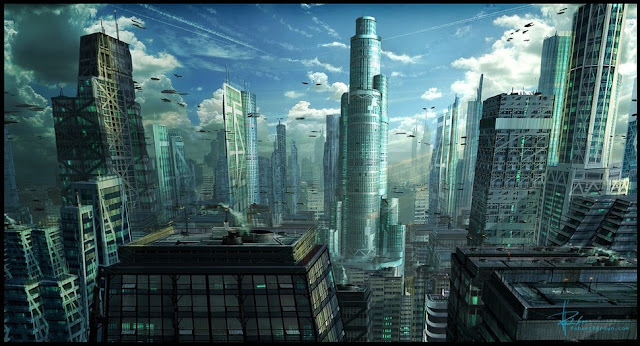 Here are 10 mindblowingly futurist technologies that should appear by the 2030s. #repost: How Many Words in a Novel? The air is getting crisper, the nights are getting longer, and All Hallow’s Eve draws near. You know what that means: it’s time to curl up with a book guaranteed to give you the shivers — or at least make you check the locks twice. Here, for your horrifying pleasure, are 50 of the scariest books ever written in the English language, whether horror, nonfiction, or speculative futures you never want to see. One caveat: the list is limited to one book per author, so Stephen King fans will have to expand their horizons a little bit. Check out 50 books that will keep you up all night after the jump, and add any other scary favorites to the list in the comments. This sentence has five words. A lesson on varying sentence length by Gary Provost. A lesson from Gary Provost. The English language is beautiful in every way. We all need and have words. Here are some words you should know! The following is reposted from here. Latin Phrases It’s a matter of taste and style, but not long ago American writers attempted to demonstrate their credentials to the world by including Latin and French phrases within works. A dash of Latin was expected of the moderately educated throughout the Western world. Trying to start writing a story is a daunting prospect. Whether it’s a short story or a novel, sometimes it’s putting the first few words on the page that’s difficult. If we aren’t careful we can end up just staring at a blank screen because we don’t even know how to start the story. There’s a trick to starting a story that I can share with you and I got it from Ernest Hemingway.